Five spice powder (五香粉, wu xiang fen) is a common ingredient in Chinese cuisine. As its name would suggest, the powder is a mixture from five spices – star anise, cloves, cinnamon, fennel seed and Sichuan peppercorn. Five spice powder has a very pungent and mildly sweet flavor, and a tiny amount goes a long way. 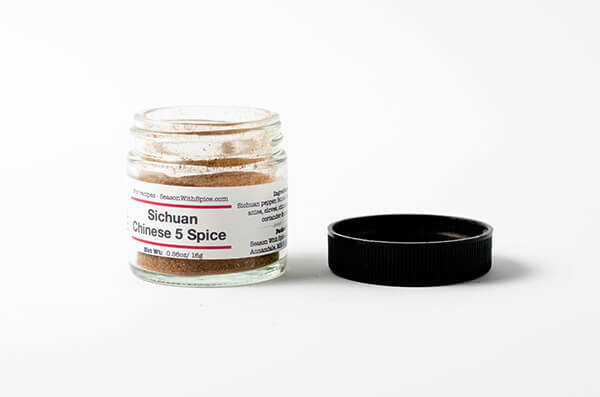 While not a necessity in the average Chinese household, it is a very convenient spice blend to have, in order to infuse savory goodness to meat dishes. Although it’s very easy to purchase five spice powder in grocery store, make your own five spice powder at home will generate a more fragrant result and you have total control of the spice ratio. The seasoning is easy to use in various Asian dishes in addition to Chinese, and can even be used in dessert.